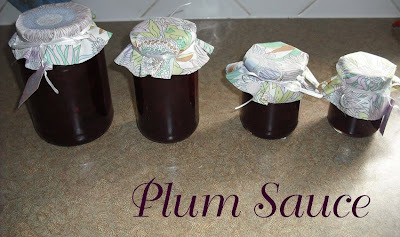 I made Plum Sauce yesterday. My boss got a box of plums from her neighbor but, being only one person, she didn't need them so she gave them to me and I made sauce. Voila! Making the sauce isn't hard, though it does take some time. What's more, they make pretty neat home made presents. 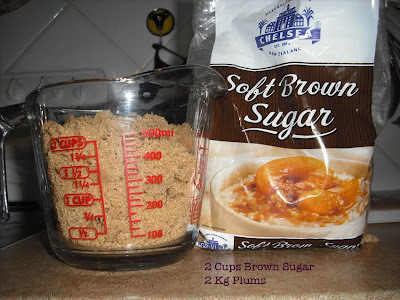 I've provided the recipe I used, but you can use whatever one you like or use a completely different fruit. It's best though, to use fruit that is in abundance because you need quite a lot. 2. Remove the stones and any imperfections from the fruit. 3. Weigh the fruit. 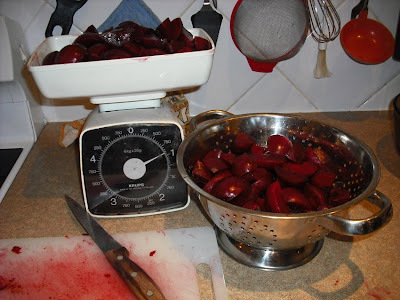 I used 2kg of plums but adjust the recipe to the amount of fruit you have. Don't be frightened to use what "feels" right. I didn't work out the measurements, I just tossed it all in. 4. Put everything in a pot (no specific order is required). 5. 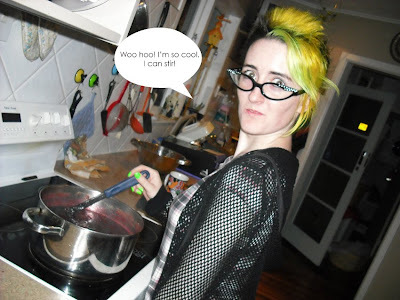 Turn the stove on high and bring to the boil. I let mine boil for about fifteen minutes making sure to regularly stir so the sauce didn't burn. This is when the mixture will dramatically rise and bubble, so it's important that your pot is big enough. 6. Sterilise your jars. It is important to do this so that no bacteria can grow. It is unlikely bacteria could survive in your sauce considering the high acidity and sugar, however, it makes your sauce last longer and it's hygienic. Don't forget to do the lids! You can sterilise your jars by either boiling them in hot water on the stove or putting them in the microwave half filled with water and zapping them for three minutes. If you do the microwave method you must put water in and don't put the lids in either! 7. 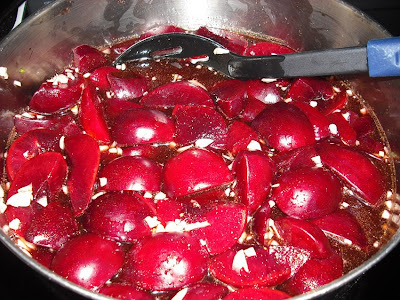 Once you've boiled the sauce long enough, turn the stove down to a medium/low heat and let it simmer for the next hour. Stir the mixture every few minutes. While this happens you can start your jar decorations. 8. Find some fabric. I used spare scraps from a dress I made. You could also use paper, cellophane or an old garment you don't wear. 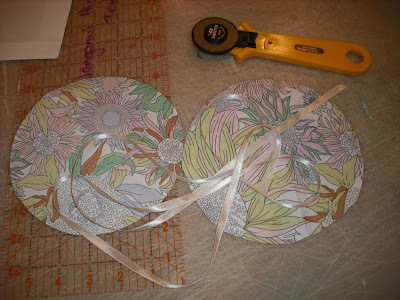 Use a soup bowl or something round and cut out as many circles as you need. 9. When your sauce is pulpy and looks similar to the above photo it is about done. 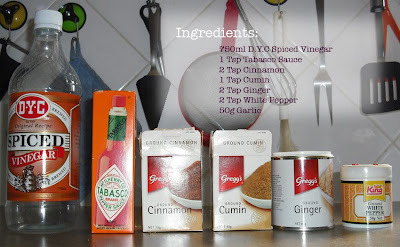 You can choose to blend it so it's finer or leave it as a chunky sauce. 10. 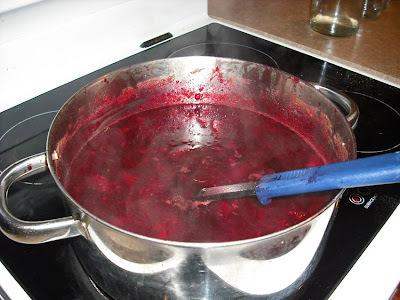 Use a ladle and pour the hot liquid into the empty jars. This is a messy and hazardous process. Be careful not to hold the jars. 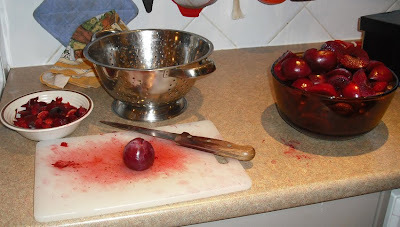 Before you put the lid on, use a damp cloth and wipe the rim so it is clean. When the sauce cools, it will create a natural vacuum that will help preserve it. 11. Put your jars in the sink and wash the sauce off the sides. 12. 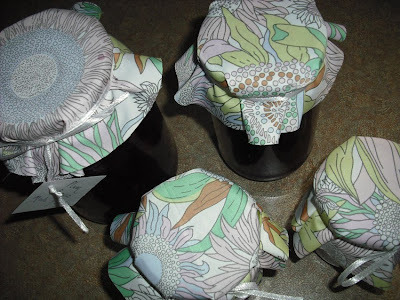 When jars are clean you can put the fabric circles on top. I used white ribbon to secure it and added a label that included it's name and the day it was made. Remember, once they are opened they should be refrigerated. Here's some photos of Stef. She was my stirrer. This girl was 11 when she started her blog. She's now only 13 but she's so big she's getting front row tickets to Paris fashion shows and has all these goodies thrown at her and stuff. She's huge on the blogger-scale. You and Stef could so give her a run for her money. You two have potential to be huge star bloggers in the fashion world. You should do the same!! With that girl, all she really does (as far as I can tell) is showcases her own outfits (daily, biweekly, whenever) and blogs about fashion, Ie - what's hot what's not. It's all her opinion of course. And what makes her unique is her style (and the fact that she's 13). She's so big now (I'm not exactly why though) that companies will pay her to blog about their fashion items and stuff. She's appeared in magazines and newspapers too. Blogging is the big thing atm. Perez Hilton is famous for his blogging. That's an extreme case though. Huuuuge design one. Had to throw it in. 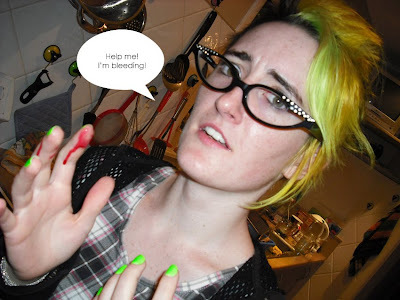 http://secretdoors-emily.blogspot.com/ this girl has something different about her blog that makes it stand out - she has an eating disorder and the blogs a sort of recovery device. It's quite personal though, less about fame and fortune. ...and those are a few i've got bookmarked. Most of my fave blogs are design ones. But you get my drift?